Hockey fans show team spirit by tossing nearly 35,000 stuffed animals (later donated to local charities) onto the ice. Half scooter and half car, these low-speed electric vehicles are a third the size of a standard vehicle and super cheap. 3 Rivers strives to be a valuable and supportive member of the communities we serve. We offer grants that support local efforts to enhance our towns and foster economic development, scholarships for local students, sponsorships to support community events and more. We assist low-income and special need customers through various programs as well. We even provide a calendar of events on our website and in our newsletter to help promote local public activities. Hover over the Community button on 3rivers.net for a menu of the support opportunities available to all 3 Rivers cooperative members. Create healthy new habits with this motivational app. It can help you learn to drink more water, do yoga, and much more. Looking for a new wallpaper for your phone? Download this app to get artistic, whimsical, funny, or inspirational options. Download this app to help blind and low-vision people accomplish tasks like reading instructions or navigating surroundings. redcross.org – The American Red Cross provides numerous resources for donating blood. Visit this site to make sure you're eligible to donate, review the donation process, and complete your pre-reading and donation questions online. You can also learn what happens to donated blood and find out how to become a Red Cross volunteer. almanac.com – Winter storms can be brutal, and you don't want to be caught driving in one without the proper equipment. Use this Old Farmer's Almanac list to ensure you have everything you might need. Items include a flashlight and extra batteries, tire chains, and a sleeping bag — just in case! tasteofhome.com – There's nothing quite like a steaming bowl of soup to warm you up on a winter day. Visit this site to find some great recipes like Hearty Vegetable, Split Pea, Potato, and, of course, classic Chicken Noodle. Pair with bread and a salad for a delicious and comforting meal. radio.garden – This fascinating site allows you to listen to global radio broadcasts. Click Live to hear a random station currently playing, or choose one on the globe. Try History to listen to clips from past broadcasts. Jingles plays station identification numbers. 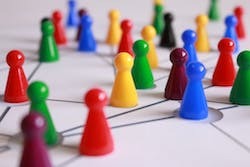 Use it to connect with other people, countries, and cultures. Short Tutorial/FAQ – Can My Facebook Cover Be A Video Instead Of A Photo? If So, How Is It Done?